It’s the nature of ghostwriting that we don’t hear about it very often. This can make it seem like an impossible field to break into, but rest assured that ghostwriters and their work are everywhere. In fact, it’s a heaving, and often lucrative, marketplace that always has room for another skilled writer. That’s not to say that it’s for everyone, it definitely isn’t, but for those who want to ghost, success is a very real possibility. That’s why, in this article, I’ll be exploring what ghostwriting involves, and how to succeed at it. I’ll also detail what ghostwriters can expect from their working lives, so that they can pursue professional satisfaction as well as a payday. To that end, I’ll start with the one truth every ghostwriter shares with up-and-comers. Being a happy ghostwriter depends on what you want from your career. If you want to do a good job, produce something you’re proud of, and get paid for it then you’re fine. If, however, getting credit for your work is important then it’s probably not for you. When a client pays a ghostwriter, part of what they’re buying is the right to represent that work as their own. That means that they’ll be accepting any compliments the work gets, and that they may even invent part of the writing process in interviews. In some situations you may be given some form of credit, perhaps as a ‘co-author’ or ‘researcher’, but more often than not your ownership of the work ends when you hand it over to the client. Some writers find this a relief – they produce great work and make good money without being expected to spend time and effort publicizing their work – but some writers can’t stand it. You know your own preferences best, but if you’re at all worried that you’ll be uncomfortable with someone else getting the credit then ghostwriting probably isn’t for you. If you still think you’d enjoy a career as a ghostwriter, the next thing to consider is the type of work you’ll be doing. There are really four types of ghostwriting, each with their own rewards and benefits. This is when the content you’ve written isn’t attributed to anyone. This is common on webpages, where written content is needed but the reader is unlikely to care where it came from. There’s a lot of anonymous ghostwriting work out there (think of all the websites that need basic text to guide visitors around) but it doesn’t pay particularly well. No anonymous content client is looking for Ulysses, so there are a lot of people capable of doing the job. Writing in an engaging manner is a rare gift. Often a client will know exactly what they want to say but be incapable of doing so in a way their audience will want to read. In these cases, they’ll provide all the research you need, sometimes even their own efforts at writing the piece, and you’ll simply have to put it all together. This is often the most satisfying kind of ghostwriting, as you’re more helping the client express themselves than creating something for which they’ll take credit. This kind of work is quite common, as there are many professionals who have ideas they want to share but who lack the ability to do so in a compelling manner. Similar to assembling pre-existing content, writing from pre-existing research involves taking an existing plan or collection of information and turning it into an engaging finished product. As with the previous type of ghostwriting this type of work is quite common. Many autobiographies are ghostwritten in this way, with key points provided and the ghostwriter left to create the connecting passages. This kind of ghostwriting has the most freedom, but is also the most wrenching to hand over to someone else. Previously quite rare, the social media age has resulted in a boom of this kind of work. Most commonly this will involve writing articles, or even tweeting, on behalf of an established writer who doesn’t have the time to meet all their commitments. It’s rare that there will be no constraints on your writing. Even working from scratch you will have to adopt the writing style and sensibilities of your client. Having decided on the types of ghostwriting work you’re aiming to get, it’s time to find some paying work. To do so you’re going to need a great CV and multiple published works. This could be anything, but at the very least you need some articles published online or in minor press. It may be that you start out doing small jobs, producing anonymous content for websites, before moving up the ladder. Once you have a respectable CV it makes sense to start approaching clients, and applying to groups who know where the work is. Networking sites like LinkedIn are vital for ghostwriters, as clients recognize groups on these sites as dependable sources of skilled work. Searching for minor copywriting work with sites like textbroker.com and ecopywriters.com is a good way to build up your experience and see the kinds of clients who are after your services, all while making a small sum for your trouble. As with any job, it will take a while to move up the ladder in terms of the work you can expect to get. The good news is that most clients who want regular content prefer to establish a continuing relationship rather than to keep hiring different writers, so it’s more a case of finding these kinds of jobs rather than continually searching for piece after piece. Sadly you’ll almost always rely on clients for referrals. Some will come through, some won’t, but if you keep producing quality content your name will get around. Apart from searching for work there are a few things you should keep in mind to succeed as a ghostwriter. The first is ensuring that you have a contract. This should specify deadlines, payment, responsibilities, and protections. For example, it’s important that the client takes responsibility for the finished product. If they provide you with incorrect, even slanderous, research then it must be clear in the contract that any consequences are theirs rather than yours to deal with. You also shouldn’t be afraid to push for what you feel is a fair deal. 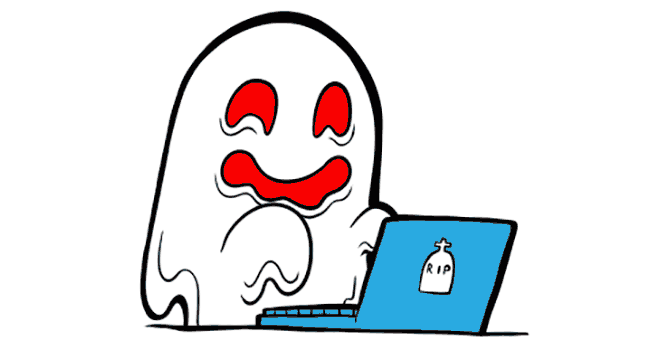 Ghostwriting is a competitive market, and initially there’s unlikely to be anyone looking out for you. It’s useful to decide what you’re worth, hour to hour, before you start looking for jobs. This might be a number you have to adjust once you’ve explored the market, but it will stop you being taken advantage of in the meantime. Once you begin working on longer content, or if you’re involved with social media, it’s a good idea to include something in your contract to deal with unexpected levels of success. If an article goes viral or a book becomes a best-seller then that should be tied to some kind of pre-arranged bonus. It’s also important to be professional. Keep physical copies of all communication with a client, and set concrete deadlines. Informal deals might seem fine before a project begins, but if you run into trouble down the line you’ll need something more definite to depend on. Of course the client isn’t your enemy, and a big part of being a successful ghostwriter will be your flexibility. It may be that you run into a section that you need more information to complete. Rather than downing tools and waiting until you can contact the author, it’s a general rule that you should write ‘around’ this kind of section and come back to it when you’re able to finish. For most authors this isn’t ideal, but when there’s a client waiting for work you have to be able to embrace less than ideal circumstances to get things done. Finally, and most importantly, you must always remember that the client’s word is final. Their name will appear on the work and so whatever you think of their taste you have to banish your ego and do the job their way. This is why ghostwriting is actually a great starting point for writers who hope to be successful under their own names one day. Learning to accept imperfections in favor of a complete, workable piece is experience you can’t find in many other places. If ghostwriting sounds like it might be for you then the next step is to power up your search engine and find communities or groups (Google+ and LinkedIn are good places to start) that can point you in the right direction. Ghostwriting is a friendly industry; in fact it’s a little like a secret society except all you have to do to join is log in. Those who have already found success will happily help you along, and it shouldn’t be too long before you’re in a position to help the new wave of first-timers yourself. For more of the information you’ll need to succeed as a professional writer, check out 4 Creative Writing Exercises That Will Improve Your Craft and What Literary Agents Do (And Don’t Do) For Authors. Are you just starting out as a ghostwriter or are you an old hand? Tell me about your experiences in the comments. Just read Debby Reynolds autobio Invincible — and here’s an example of a great life story made (at least a good part) tedious by a poorly chosen ghostwriter. It was chosen for book club purely because the Introduction is so intriguing — but THAT was written by her daughter (who also wrote Postcards from the Edge). Struck me, why didn’t she employ her daughter?? Super-talented Debby was taken for a financial ride not by just one husband, but two, and had to work, work work, to get out of bankruptcy each time. The book spends far too much time on the financial mish mash, not enough on Invincible Debby as an amazing (but gullible) woman. Best ghostwriting I ever read has to be Not Without My Daughter, true story of an American nurse who marries an Iranian-born fellow medical worker, has a daughter, and very happy UNTIL he goes back to iran at time of that revolution when they took Americans hostage, and becomes completely radicalized. Talks her into visiting Iran with their daughter, and once there proclaims they’re not going back home, but will will hereafter as Iranian muslims. The movie made from it is equally suspenseful, a page-turner if I ever read one, of how she manages to escape WITH DAUGHTER and taken to an American Embassy by some horsemen I now realize (due to Middle East news) must have been Kurdish tribesmen. Thanks for your thoughts. Both interesting cases that show it takes more than an interesting story to make a great book. Haha, no, it’s not for everyone. I have been researching on how to become a ghost writer. Some of my work isn’t being recognized as it should. It was helpful to know that this profession isn’t for everyone. I realized that getting credit for something I wrote it pretty important so I will need to reconsider my options. I’m really glad you found the article useful. I’ve found that there’s a very small pool of people who are happy ghostwriting long term. Fantastic for them, but otherwise it can be very stressful.